Product information "Danfoss ECO 2 - programable heating valve - Bluetooth"
The Danfoss ECO 2.0 is a stand-alone electrical radiator valve for the use in the living space. 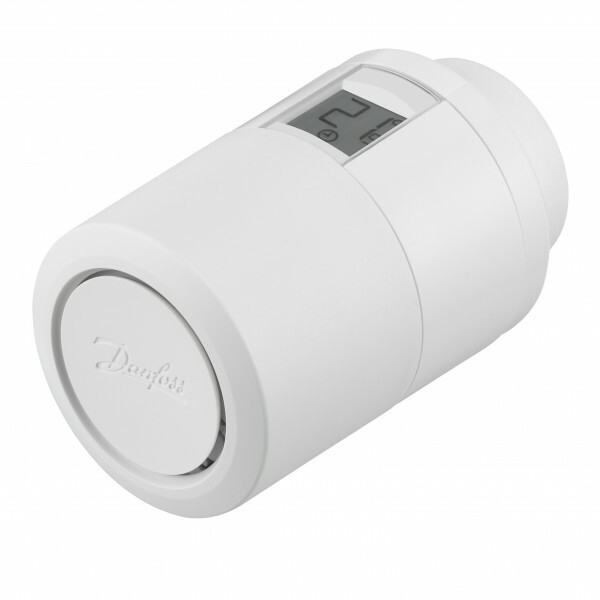 The Danfoss 2.0 is battery powered, compact and is controlled by a simple handwheel and a single button. The Danfoss ECO 2.0 will be programmed over the Smartphone App and the bluetooth connection. The ECO 2.0 can be easily installed within 30 seconds. Adapters for all Danfoss thermostat valve and most of the other valve from different vendors are included. Related links to "Danfoss ECO 2 - programable heating valve - Bluetooth"